End of the German Dream? 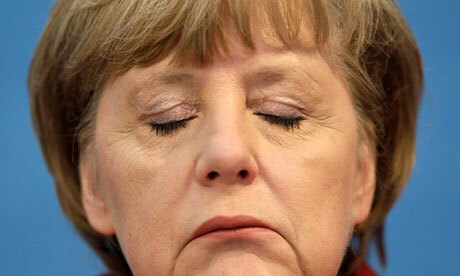 The crisis in Germany is brewing at a rapid speed. There is no country that has suffered the pains of Russian sanctions in the West more than Germany because the Russian market has compensated Germany in the past years, covering up many problems of the German economy from the euro crisis. As the economy has turned down inside the EU, German sales of products declined. That decline was replaced with Russian buyers of everything from food to German cars. With Russian trade now cut off, the economic decline in Germany is starting to become visible. There is also a rising anti-foreigner trend emerging in Germany with the economic decline in motion. The German Press, perhaps the last real free press, warn of the coming police state in Germany. The German Dream is about to burst. The majority of municipal governments in Germany are insolvent. Then we have the surge in pension coming. Germany is caught in a perfect storm of financial chaos. This may be why Germany has been the target of US and British surveillance for fear that the country will hold the keys to Europe. With the coming crack in the German Dream, we should expect a surge of capital flight headed into the dollar come 2015. This will be enough to send the dollar higher and that will help to break the rest of the world where they issued dollar based sovereign debt. 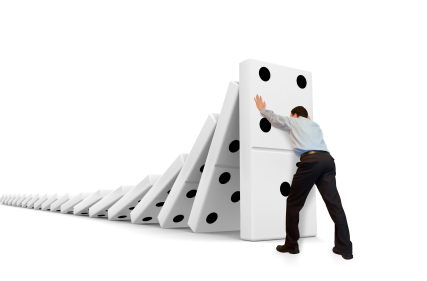 The dominoes are falling. We will have to restructure the world economy just to survive.